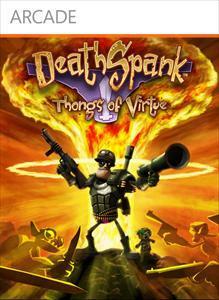 "Join DeathSpank in his all new adventure, DeathSpank™: Thongs of Virtue! Fight through war-torn battlefields, tame the violent High Plains, and sail your own pirate ship through the savage seas. Wield exciting new weapons, slay unbelievable new creatures, and take DeathSpank on the ultimate quest to find and destroy the mysterious Thongs of Virtue." 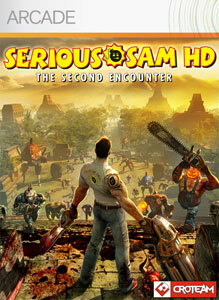 "The glorious high-definition chaos continues in Serious Sam HD: The Second Encounter, the highly anticipated arcade action FPS sequel to Serious Sam HD. The Second Encounter features single-play, deathmatch, and cooperative play mixed with brilliantly updated visuals and classic over-the-top action from the golden age of first-person shooters." "Can you survive the alien onslaught? 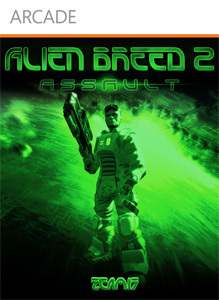 Alien Breed™ 2: Assault is an explosive science fiction arcade shooter with an epic story, swarms of highly intelligent alien enemies, high-impact weapons, and highly detailed and rich environments, developed using Epic Games' Unreal® Engine 3. Take control of the hero, Conrad, the ship’s Chief Engineer, and continue your fight for survival on the fatally damaged space vessel against a ruthless assault by the alien horde." "Hollow Wish... your typical lawless frontier filled with dark secrets and mysterious cloaked figures. It’s here Kit Ballard works as one of the best bounty hunters in the business. Don’t let her pink hair fool you, Kit is part cat, part girl, and wholly lethal. 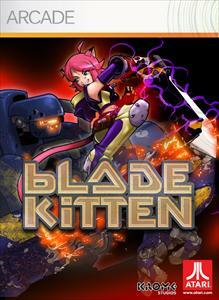 Join Kit, her alien sidekick Skiffy and the hovering Darque Blade in the full version of the all new action adventure side-scroller Blade Kitten™: Episode 1, the exciting first of a two part mini-series available exclusively via digital download."